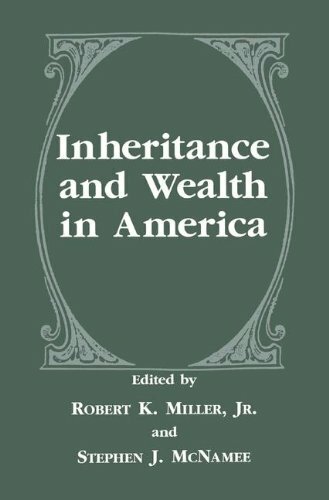 Inheritance and Wealth in America is a superb collection of original essays, written in nontechnical language by experts in sociology, economics, anthropology, history, law, and other disciplines. Notable chapters provide - an outstanding interpretative history of inheritance in American legal thought - a critical review of the literature on the economics of inheritance at the household and societal levels - a superb history of Federal taxation of wealth transfers, and - a sociological examination of inheritance and its role in class reproduction and stratification. This groundbreaking work is of value to any researcher dealing with the transmission of wealth and privilege across generations.